In the late 18th century, a slave named Tula lived and worked at the Knip Plantation, on the northern tip of the island. 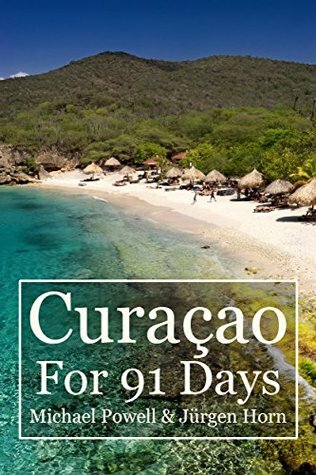 Angered by the injustice of his situation, he freed himself and led a revolt across Curaçao. Today, his legacy is remembered in the Tula Museum at the Landhuis Knip. 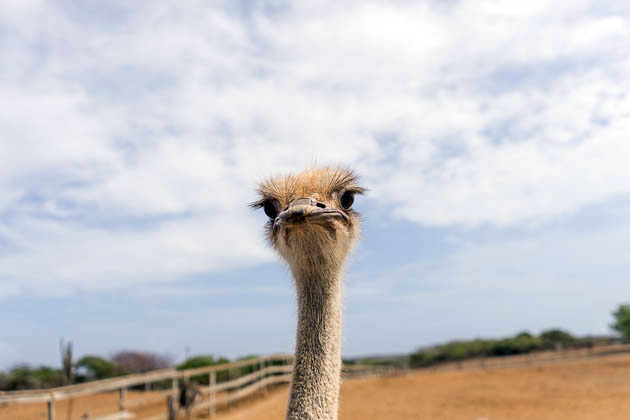 Established in 1995, the Curaçao Ostrich Farm offers guests the opportunity to meet and eat the world’s largest birds. We joined a tour of the farm, which taught us a lot about the ungainly beasts and allowed us to get up close to them. Perhaps a little too close. 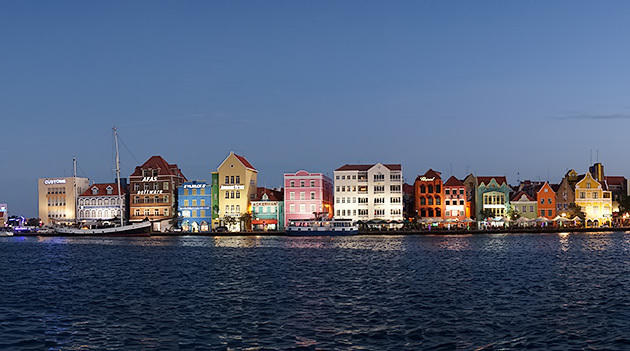 Punda was the first area in Willemstad to be colonized by the Dutch, and today has become famous for the superb condition of its colorful, 18th-century buildings. 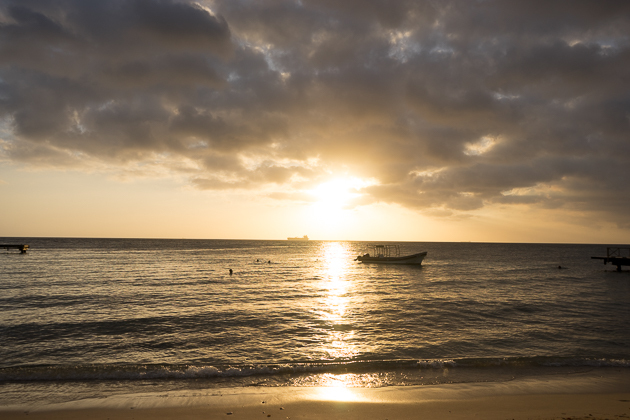 Although we lived in Otrobanda, we crossed the bay almost daily to spend time in Punda, to eat, shop, or just enjoy the neighborhood’s lively atmosphere. 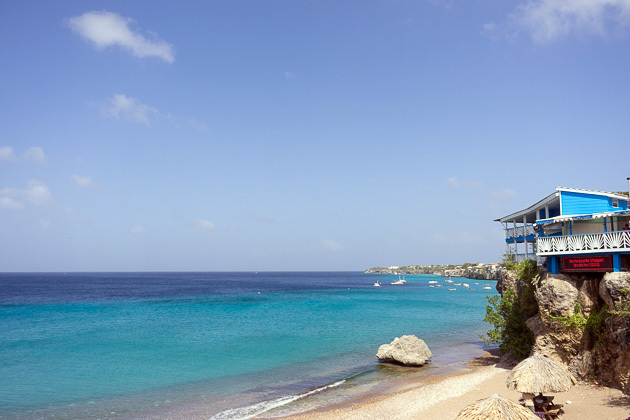 Located on the eastern side of Willemstad, Equus is a Curaçao institution, popular for both its mouthwatering food and chilled-out atmosphere. But it’s not for everyone. Don’t go if you’re a vegetarian. Don’t go if you had a big lunch. And definitely don’t go if it’s not Friday. 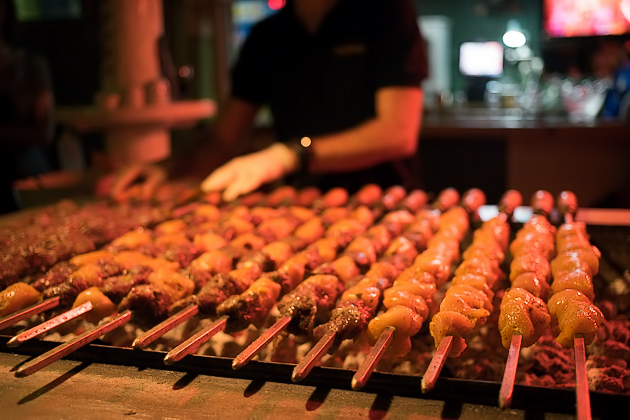 However, if you’re a hungry carnivore on Friday night, head on down. You’re going to love this place. This year, we celebrated Jürgen’s birthday at Playa Forti. I wouldn’t be so crass as to reveal how old he was turning, but please let me reiterate that this birthday celebration was at Playa Forti. It was a wonderful spot to spend the morning, swim, snorkel… and to mourn the loss of fleeting youth. 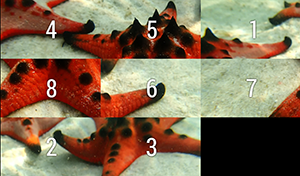 Four beaches can be accessed from a single entry point near the northern town of Soto. 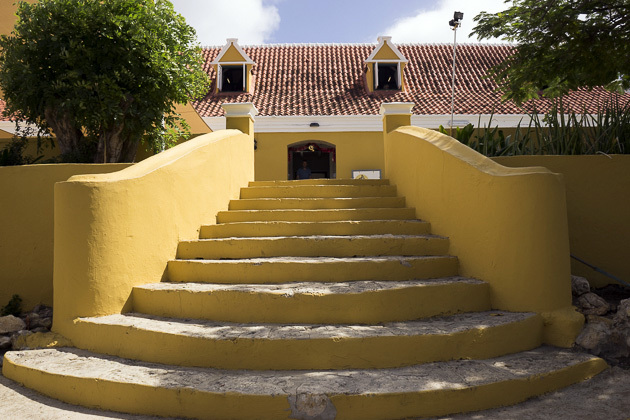 At the former Landhuis of San Juan, you’ll be asked to pay a small entry fee before continuing along a set of dirt paths that lead to the sea. It’s up to you which path you take.